Steer clear of the usual family travel tourist traps this year with an off-the-beaten-track adventure the entire family will remember forever. Offering parents and kids alike the chance to get right into the heart of rural Thailand, a new Elephants & Rafts tour promises adventure, education and a multitude of once-in-a-lifetime moments. Starting in Bangkok, the itinerary takes in Chiang Mai by sleeper train, jungle treks, local markets, an elephant ride through untouched forest, a bamboo river rafting trip as well as two nights in remote hill-tribe villages learning the ways of life in rural Thailand, before heading back to Bangkok for a long-tail boat trip. Thailand Uncovered is offering a nine-day private Elephants & Rafts tour from £900 ($1360) per person. 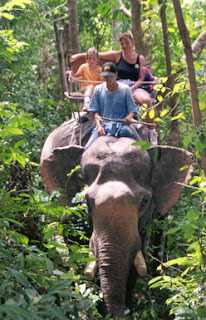 Suitable for children aged seven years and over and valid for selected private departures throughout 2013, the price includes transfers, varied accommodation (five-star hotels, basic village huts and an overnight sleeper train) on a mixed-board basis and the services of an expert guide. This off the beaten track vacation provides a doorway to a forgotten culture which traces its origins to ancient tribal history. Greener Pastures, an ecotourism enterprise based in Northeast India - that promotes responsible tours to exotic destinations around the region - has just launched a first ever tour to the Aoling Festival in Nagaland, considered to be one of India's remotest regions. Celebrated by the Konyak Tribe during the first week of April, the festival marks the coming of a new year and of spring season. Once upon a time one of the deadliest headhunters in all of Asia, the tribe today lives peacefully, spending most of their farming, fishing and hunting. But come April, the tribe comes together to celebrate the traditional Aoling. 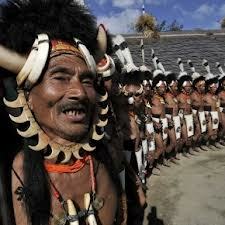 Wearing vibrant tribal clothing, elaborate dances are performed which tell of Konyak culture and bravery. Invitations are not needed and visitors to the festival are often overwhelmed by the hospitality of the locals. The director of Greener Pastures, Vaivhav, tells me "The inhabitants, the tattooed warrior Konyaks, are unarguably one of India's most fascinating tribes. 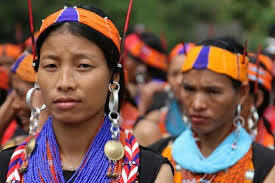 This makes the Aoling Festival a truly unique and offbeat experience...with the launch of this tour, we wish to showcase this incredible culture to the world and hope that awareness will benefit the tribe." The tour begins in the town of Dibrugarh in Northeast India. Known as the 'tea country of the world', from Dibrugarh, the tour crosses the medieval ruins of the Ahom Dynasty at Sivasagar heading for the hill town of Mon in eastern and remote Nagaland. Apart from participation in the festivities, the tour also provides visitors with an opportunity to visit various Konyak villages, visit their houses, interact and learn about their way of life.